Card games are a big part of life. Whether you’re young, old, or middle-aged, you’ve probably played some card games in your life. The thing with card games is that you might love them, or you might absolutely hate them. But you have to respect them due to the amount of skill it takes to become proficient in any type of card game. 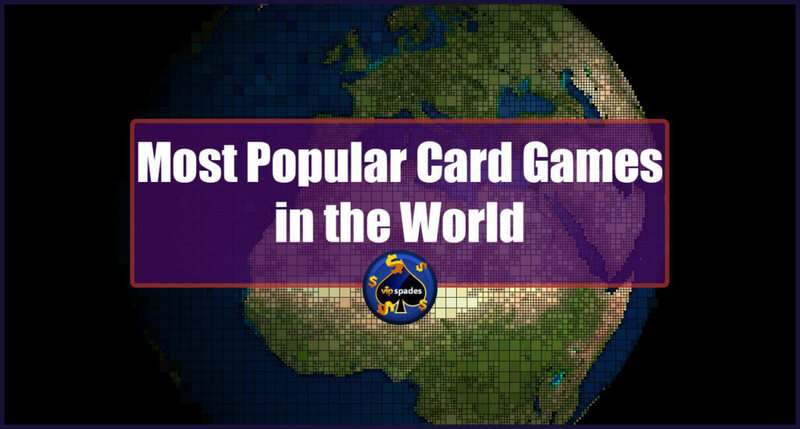 A lot of card games exist, but let’s talk about the most popular card games. Poker has been known as one of the biggest gambling games of all time. When you hear the word “Poker”, you immediately think of casinos, money, and beer. Many variations of Poker exist, allowing you to constantly mix up what style of play you want. Poker is also one of those games that can be easily played online, allowing you to show off your skill in front of as many people as you want. Poker has become so popular in the United States that it’s almost viewed as a sport rather than a game. People really take this game seriously, and you can gain a lot of respect if you can show people that you’re good at it. War is one of the easiest games that you can play which involves zero skill whatsoever. All you need to play is 2 people with a 52 card deck. You then shuffle the deck, and disperse 26 cards to each player. Each player then lays down their card, starting a war with the opponent. The higher number wins, and at the end of the game, the player with the most cards has the game won! War isn’t a big gambling game, and it probably wouldn’t be too fun to play online, but if you’d like to play a few games you can still play War online here! Rummy is a very popular game throughout the entire world right now. It’s very popular right now in India, and has been a huge gambling game here in the United States for quite some time. One of the best parts about playing Rummy is that you can play with as little as two players, and you only need one standard deck of cards to start playing. It’s labeled a matching game, and requires some skill to get good at it. If you have good matching and memorization skills, you could make some good money online by playing with other people! Rummy is also considered one of the most addictive card games you can play, so consider yourself warned before you begin your addiction. Gin, also known as Gin Rummy, is one of the most popular games you can play right now. All you need to play is just two players, with a single deck of 52 cards. It’s related to Rummy, and all you need to be able to do is understand risk, matching, and have a good memory. Gin is also one of the most fun games you can gamble with. Gin is an older game, starting up in the 1800’s here in the United States. It’s come a long way, and has to be one of the most fun games you can play. If a card game has stuck around this long and still ranks as one of the most popular games you can play, you can be sure that it’s a worthy game to start playing. If you’d like, you can learn even more about Gin Rummy by learning about the history of the game. The game reached it’s peak in the 1930’s and 40’s, just after the Great Depression, and was commonly featured in Hollywood movies due to the popularity of the game itself. Gin Rummy’s popularity slowly faded after Canasta became the prefered card game for the masses in the 50s. Another large gambling game, Blackjack is one of those games that you just can’t seem to get sick of. A lot of chance and luck is involved in the game, and you can play with up to 8 decks of cards and have to play with 2-6 players. Another common name for Blackjack is Twenty-One. You can learn more about the strategy of Blackjack here. One of the best parts about Blackjack is the competitive nature between the players and the dealer. This is one of the few games where you’re not playing against the players, but rather the dealer himself! It’s a large money-maker for casinos, but you could also end up winning big if you have yourself a big game. To get some practice in, you can even start playing online. Blackjack, like Gin, is also one of the oldest popular card games to date, being historically tabbed as long as 300 years ago in casinos in France. Crazy Eights is a game that originated from Venezuela, it takes 52 cards and is a moderate challenge for newbies to learn if you’ve never played it before, due to the uniqueness of the game itself. Luckily, with the world we live in today you can easily learn the rules of the game and play with other people online to get some practice in. As we all know, practice makes perfect, so if you want to get good at this game then you’ve got to play against others online! Like all other games Crazy Eights has some pretty cool variations that you can try out as well. Variations seem to be the heart of most games, and can let you play with your own unique style! From the games above, you shouldn’t have a problem with any of them. If you’re in it to learn a new game, then choose whatever one you think you’d enjoy the best. If you’re in it to gamble, then you should probably learn Poker, Blackjack, or Gin. If you’re in it to get lucky, you should choose a simple game like War. If you’re in it to use some strategy and play with friends, then you should play Rummy, Crazy Eights, and Spades (however, Spades fits all categories).